A lot can be said about New Jersey. It’s the fourth smallest state in the United States (by area), and the eleventh largest by population. 9 million people living here make it one of the most densely populated states. And its proximity to New York is the reason it often ends up as the punchline of a joke. However, there are so many more great things about the beautiful Garden State. 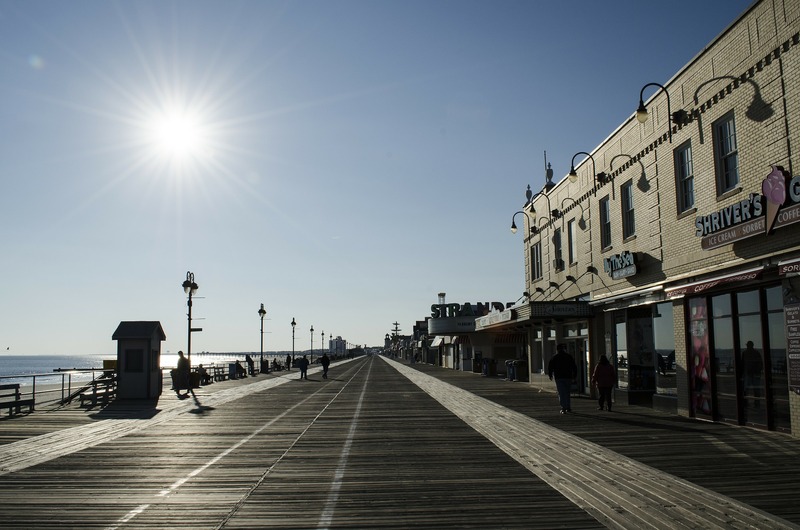 Its location – so close to both New York City and Philadelphia makes it a great living place. And its beautiful coastal towns and high-performing public schools are just another reason why you should consider moving to New Jersey. However, to help you make up your mind some more, we give you a list of the six top cities for expats in New Jersey. North Arlington is a suburb in the Bergen County. With the population of 15,800, it is the most populous suburb in the state of New Jersey. In 2017, the TIME magazine places North Arlington on the eight place on their list of best places to live in the United States. This is because there are many good reasons to live here. For example, if you cannot decide between living in a small town or a big city, here you get both! Even though North Arlington gives away great small-town vibes, New York City is just a drive away. More specifically, the Financial District (and Wall Street) are only 15 miles away from North Arlington. But it’s not only New York that’s close to North Arlington. For the sports fans, there are also Meadowlands Sports Complex and MetLife Stadium nearby, too! And finally, North Arlington has a great school district and boasts a low crime rate, both of which brings it to number one spot on our list of the top cities for expats in New Jersey. There’s a reason why White Meadow Lake is one of the happiest places to live in. White Meadow Lake is often on the list of the top ten happiest places in New Jersey. And there is a lot to smile and be happy about this Morris County suburb. If you are a fan of small towns, then the population of around 9,000 is the perfect fit for you! If you are a fan of picturesque American towns – there are both the meadows and a lake here! What makes people the happiest to live here though is the staggeringly low crime rate, as well as the unemployment rate, which is the lowest in the state. Adding to that, the median income of $116,000 is always a nice detail. Finally, there is a fine balance here – with excellent schools and a fun nightlife. And the average 20-minute commute makes this town one of the top cities for expats in New Jersey. Here you can find the Princeton University. Does the name Princeton sound familiar to you? Maybe it’s because of the world famous Princeton University that calls this Mercer County borough home. But for the 30,000 people who live in Princeton, the Ivy League college is not the only hotspot in town. There are so many other benefits to living in Princeton. For example, it is almost exactly halfway between New York City and Philadelphia. So, if you are the kind of person who likes to travel around, or you need to move for work, this is a great spot for you. 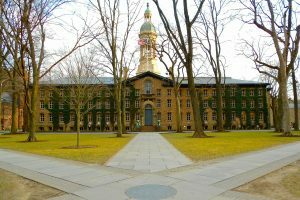 Not only that, but Princeton often ends up in the lists of top cities for expats in New Jersey, as well as the lists of best small towns in the United States. So if you are looking for a place to live, call your movers in Jersey City and start planning your move soon. Ridgewood is another Bergen County suburb. As mentioned before, this is the most populous part of New Jersey, so don’t let it take you by surprise that you will find around 25,000 people living here. If you are an architecture lover or a person who enjoys lovely views, then this is the village for you. Here, you can find both Victorian homes as well as the turn-of-the-century farmhouses. However, that is not the end! There are also great schools, amazing parks as well as a lively downtown area. If you’re an expat with a family, then Ridgewood might just be the place for you! Saddle Brook is another town in for the people on the go. The place is a sort of a crossroad of many important paths, such as the Interstate 80, Route 17 as well as the Garden State Parkway. What makes it even more desirable to people who like in New York City is that the Big Apple is just minutes away. Actually, many say Saddle Brook is one of the best small towns for commuters in the country! And even though it’s in the Bergen Couty, it’s population is only around 14,000 people. But commuting is not the only thing people in Saddle Brook do. The residents often gather together for community movie nights and baseball games. You can even have a walk with the town mayor! 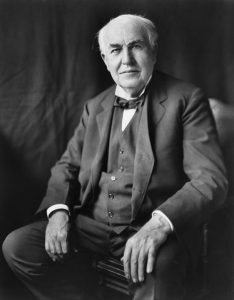 The city was named after Thomas Edison. Finally, we have the small city of Edison in the Middlesex County, which is the fifth largest in the state with its population of over 100,000 people. It got the name after Thomas Edison, and the city is where his home and main research lab were, too. There are many reasons why Edison is on our list of the top cities for expats in New Jersey. For starters, it has the lowest cost of living in the entire state, while the education system is amazing. Many big businesses have their offices here as well, like the John F. Kennedy Medical Center and Johnson & Johnson. This was our list of the top cities in New Jersey. If we have successfully piqued your interest, it is time to decide where you will live and call your NJ experts for long distance moves. Finding great, professional movers can save you from a lot of stress, so be careful when picking yours. Finally, enjoy a drive-through tour of the Jersey City in the video below. Good luck!